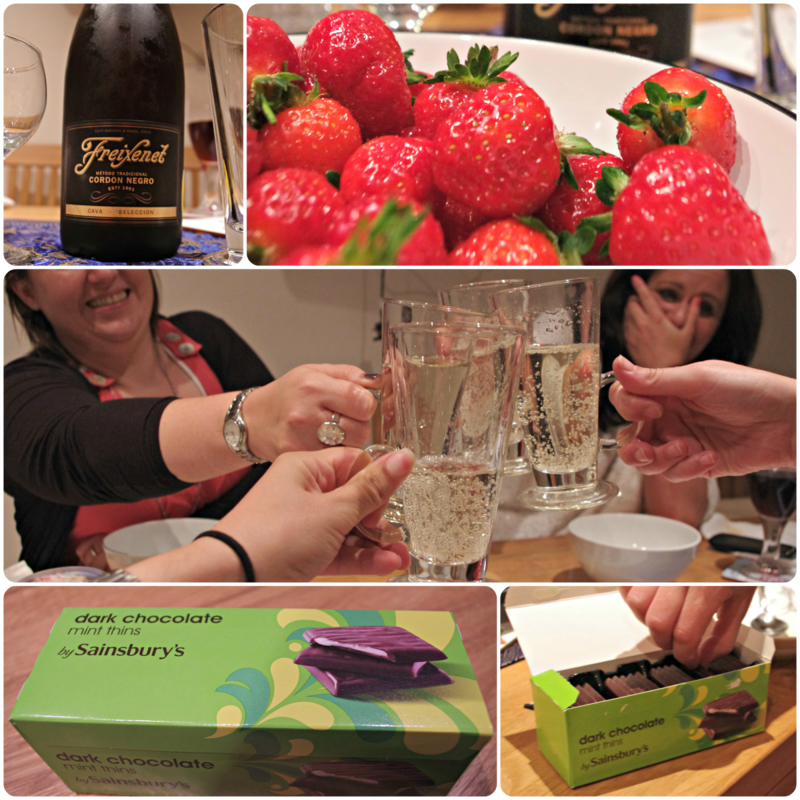 So, when MoneySupermarket asked if I thought £50 could sort a fantastic night in, I was more than up for the challenge. 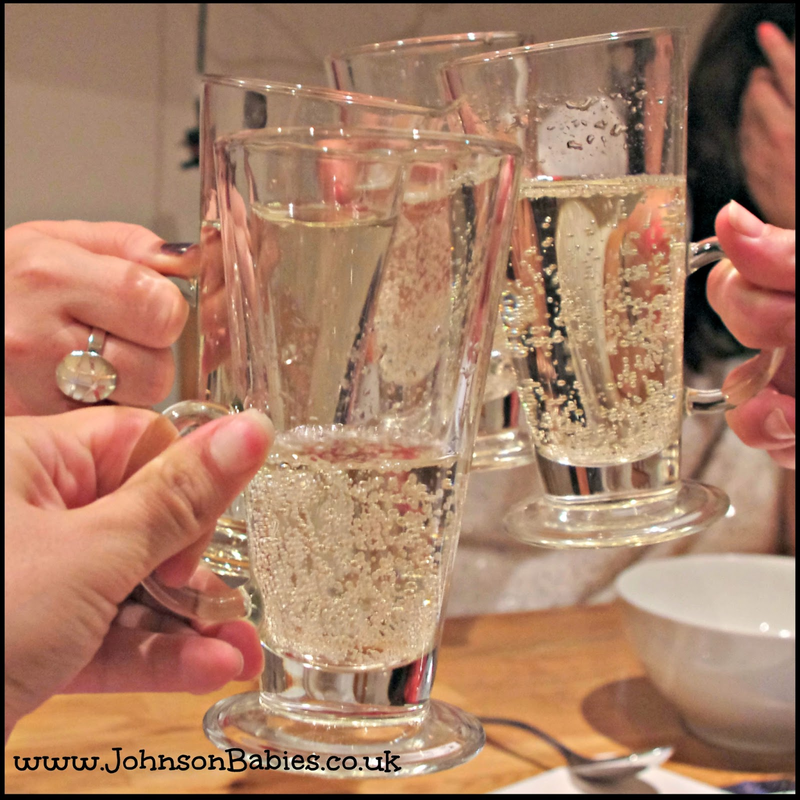 As a mum to three the idea of treating the kids to a night in seemed easy. My husband had other ideas. I had a night out planned. With the girls. We had planned it over a month ago. That's how difficult it is to sort diaries. Money is tight at the moment, so Mr J suggested the money went to see if four girls could have a night in for £50. I probably would spend that amount on a night out. So how would it work on a night in? For four! Fortunately, the girls were up for the challenge. I guess that's the truth about today's lifestyle. The more you can save in places of perceived extravagance, the less compromises you need to make on the things that matter. Between the four of us: one is looking to buy a house, one has a 4mth old baby, one had just got back from a lovely holiday, and one is trying to plan a christening on a shoestring. A night in? Challenge accepted! Well, to be honest we blew £40 on food at Sainsbury's. Needless to say we were surprised. Admittedly we probably bought enough food for ten people, that's how often we entertain! It was ok, the host had secret weapons- a box of After Eights (or the equivalent as we couldn't find After Eights) and a game for the Wii. So, how did the evening pan out. Well, seriously, what's your motivation for going out? From the moment all four of us were in a room, we just talked. Highlights included: Making a will, Las Vegas, attachment parenting, turning 40, family law, politics in China, going clubbing with a 5 year old, buying a house, potty training, Ofsted... y'know when you put it like that you can understand that I don't get out often. And yet, before we knew it, it was midnight, we hadn't been on the Wii (and that was ironic to this mum), but we weren't finishing the evening without the After Eight challenge! 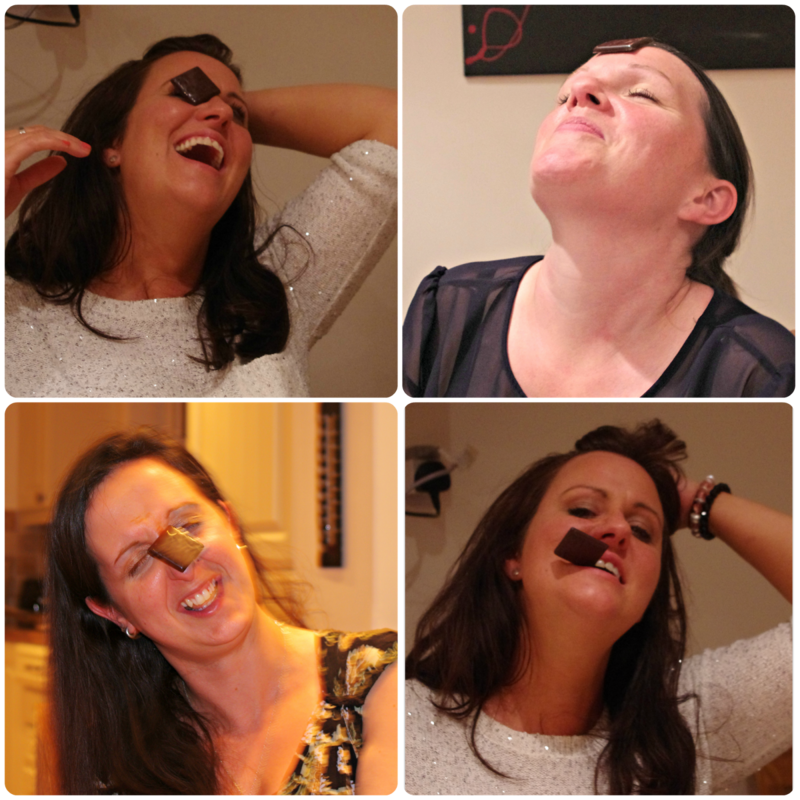 The clue to the After Eight challenge- facial muscles (and depending on who you talk to- combination skin). So, what are the disadvantages of a night in? 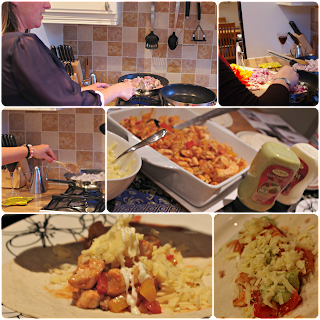 But there were four of us, it wasn't a great effort given we went with fajitas and pizza, but it was a great meal- and given my usual meal out is an Italian, I wasn't really compromising. I'd say the washing up, but that's the dishwashers job. Running out of wine glasses and drinking fizzy wine out of the 'wrong glass'- you'd never get that in a restaurant!- but I'm not sure it actually took away anything from the taste of the wine. I genuinely think we all spend around £50 each on a night out. With wine on top this probably cost £70 max for all four of us. And there was enough food left over for another meal for four. We didn't get hassled out of a restaurant, and were free to talk all night. We were able to be as loud as we wanted to be without offending the next table. And we were able to take everything at our own pace. I didn't get blisters on my feet (I always think I can wear heels on a night out). I didn't feel like I needed to get a new top for a night out. Or feel paranoid that I was over or under dressed. In fact, "someone" suggested if we did it again we should just have a pyjama party. (And, as if to reinforce our age, the girl [in this instance a young teenager] across the road was having a sleepover for about eight of her friends. I suspect at least 30mins was spent trying to figure out if we wanted to be back there or not). Midnight came around all too soon, it seems a lifetime ago this would be the time we'd be moving on to another club... given it was a lifetime ago, because we established all the places that aren't there any more. It turned out that only Metros and Philarmonic probably remain. And then ask me if I'd rather spend my £50 on a night in Metros or on having the girls round. Disclaimer: I received £50 to enable me to accept the challenge of a Big Night In. Looks like you had a fabulous time, and I'm with you in all honesty. Who can be bothered to have all that stress when you only end up moaning that you can't hear what each other are saying! Wish I lived closer! Your night in looks awesome. Once a year (or twice if you manage to forgive the flat cola) isn't good enough!